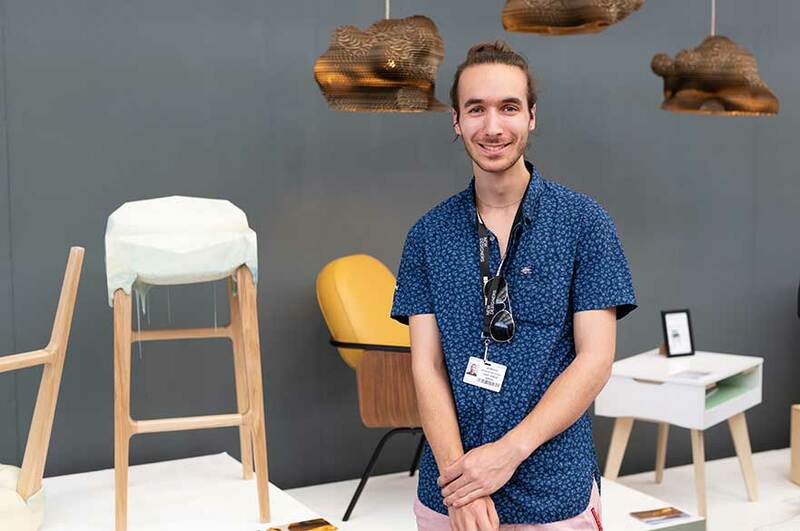 A recent graduate from our BA (Hons) Furniture and Product Design course has been named winner of a top award at one of London’s most established trade events for industry professionals. 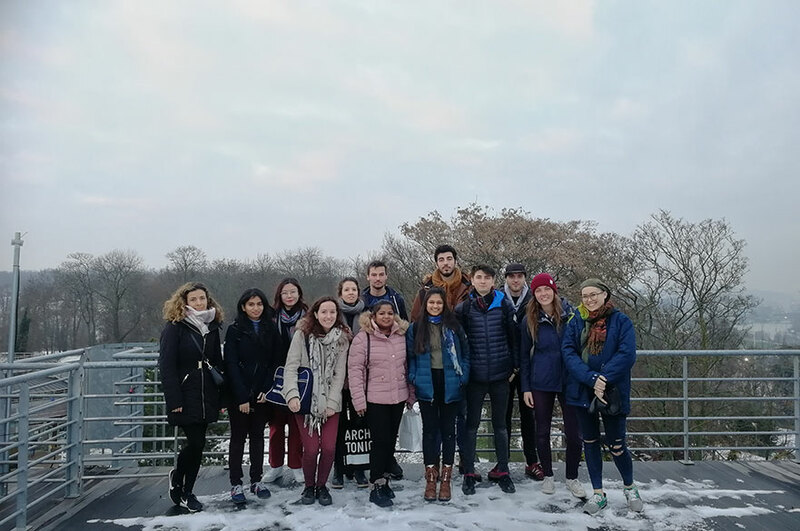 Joe Wonham won the Design Fresh: Product of the Year award at 100% Design, which takes place annually at Olympia London, and brings together the best architects and designers in a huge showcase of inspiring new projects and products. Joe, who graduated earlier this year, takes a unique, playful approach to the creative process as both an artist and designer, and continues to explore new methods and processes to keep his work original in a constantly evolving field. He was one of just four other makers to be recognised in the inaugural set of awards presented by Design Fresh, a platform for celebrating breakthrough design talent scouted at New Designers, and selected by Barbara Chandler, design editor of Homes & Property at the London Evening Standard. 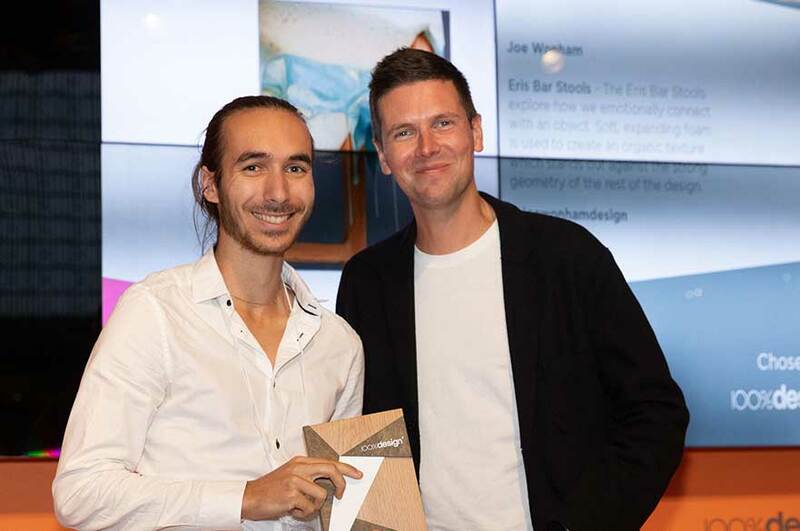 He scooped the Product of the Year award for his Eris Bar Stools, which explore how users emotionally connect with objects. Using a soft expanding foam, the bar stools demonstrate an organic texture, distinguishing the work from the strong geometric approach taken by many furniture designers.